It's gotta taste good, right? If Dewar's could make their product taste better, they wouldn't have to find beautiful girls! 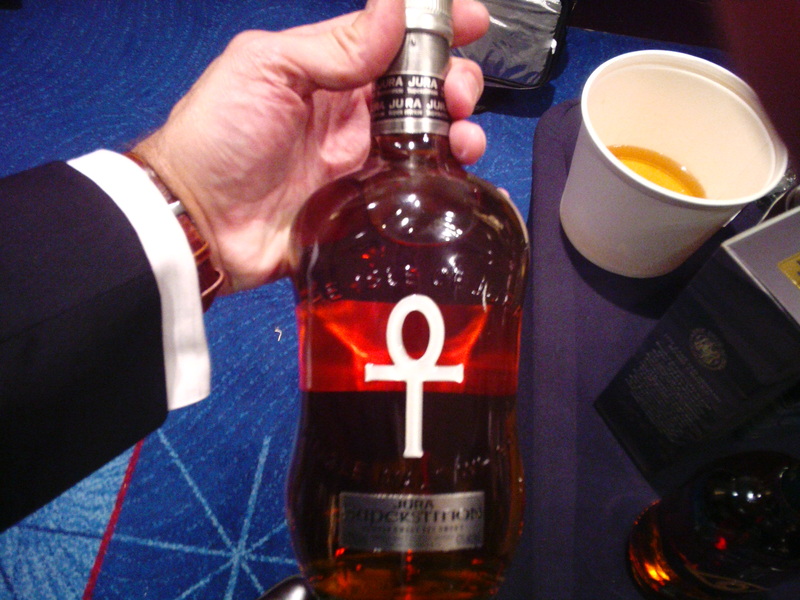 The annual event of the Single Malt Scotch Whisky Extravaganza was held on October 13 at the JW Marriott Hotel in Washington, DC and as most of these events there was an abundance of booze, food, and giveaways. I’ve taken awhile to write about this event but the most exciting thing about this event for myself was that I actually won something! 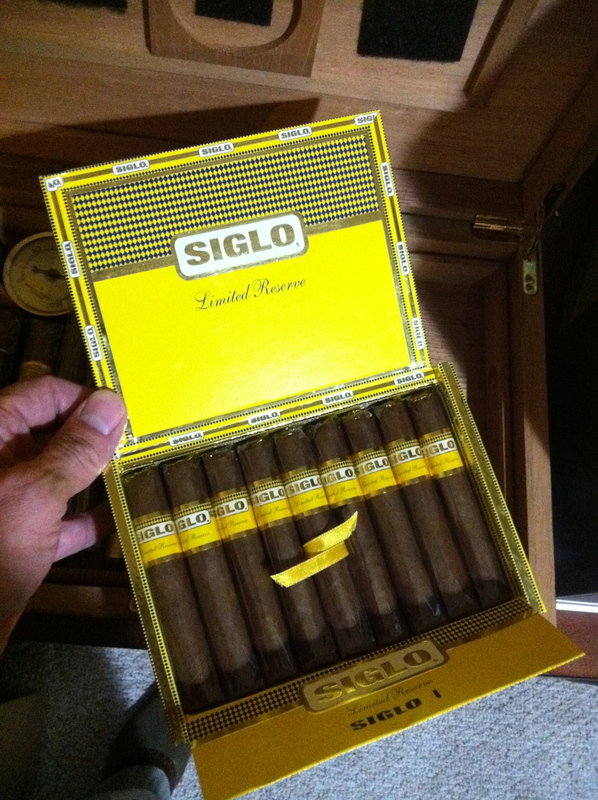 One of the raffle winnings was a box of Siglo cigars and somehow out of hundreds of entrants I actually won it! This made me happy on two counts, free cigars, good, and it actually helps defray the cost of going, better! If you have never been to one of these large events I would encourage you to go. It is a great place to see that there is a LOT more scotch whisky out in the market than what you typically see in your local store and if you are like me and spend most of your time in Virginia (an alcohol controlled State “ABC”) you are not use to a lot of variety. I typically run through the Washington DC stores to find the non-typical offerings and offerings even from well-known brands that do not make it to ABC stores. The evening actually started out with an hour with the brand reps which actually was more collegiate upstaging by one another and friendly insults at each other. 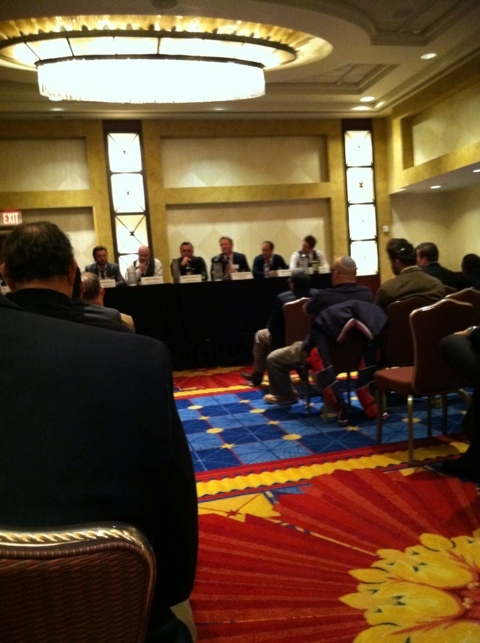 What sticks out in my mind from the Q&A session was the importance of selecting casks for distillers. 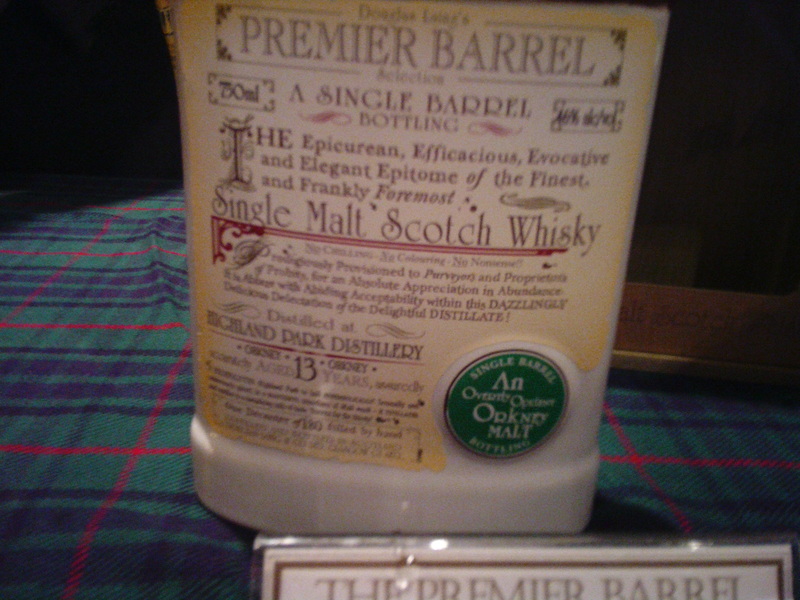 If you don’t know, most all of the taste that your favorite scotch has is due to the wood cask it is placed in. This is more tricky for scotch than bourbon because you are using a spent bourbon or other whiskey cask to entrust your distilled liquid to. After this the doors were opened and the multitude was sent in to mob the tables where the reps stood by. This is not my favorite thing. Partly because there is far more people than there is time for the reps to address and often you have uninformed reps helping out. Even if you know a lot about scotch it is quite dizzying to sample each table and then remember which offering from which brand you actually enjoyed. I would encourage you to bring something to write with and a small piece of paper, trying to record it on your iphone is quite time consuming. The event give you a Tour Journal but I find it large and cumbersome fighting through the crowds. I like to take pictures of offerings that I really find interesting. Here are a couple of pics of some of the offerings I found interesting. I really have enjoyed the limited Tomatin expressions that I have been able to try. The packaging was done special for a shop. I really liked it. If you have not tried Jura products, you must! Their youngest offerings are excellent also. 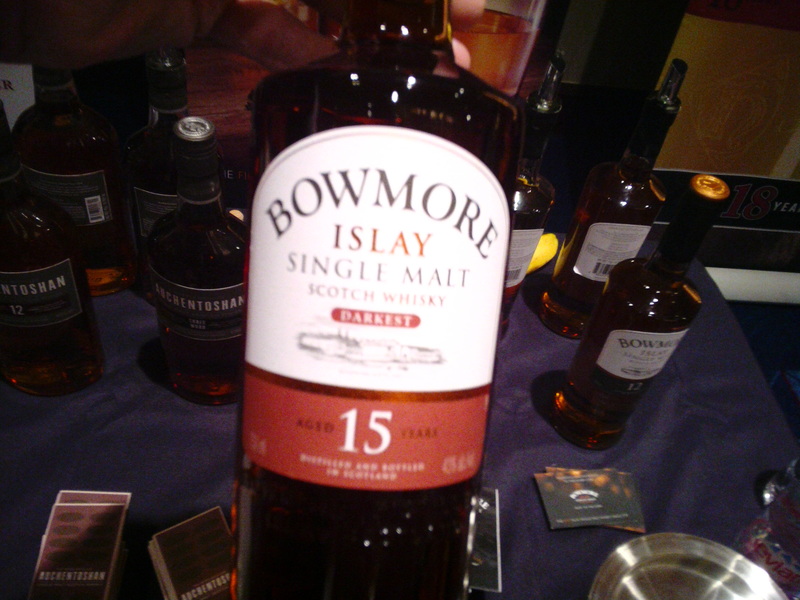 This is a new Bowmore, like most of the line, I approve! There were many I did not get pictures of because the crowds were just overwhelming! I’d like to make mention of Glen Grant’s 10 year which is a great “first” scotch and their 16 year old will be liked by the more experienced scotch drinker. The Scotch Malt Whisk Society bottlings were of course very good and probably were the best offerings there. One of the freebies given were two cigars from Altadis U.S.A. and they were the VegaFina brand which is a light to medium cigar and I actually enjoyed it. The other was a H.Upmann Sun Grown that is medium-ish and I really didn’t find any satisfaction in it. Thanks for reading! The pics were not as good as I had hoped but the lighting was difficult.